Set after the events of the Salem Witch Trials, Salems Vengeance sees, 12 year old Sarah Kelly sneak out of her house to dance with her friends, but when one such evening leads to Sarah meeting Hecate, the Devil’s Daughter. However, Sarah steps away whilst her friends take a mysterious powder which is both addictive and hallucinogenic. Sarah is prevented from distancing herself from Hecate, who has her sights set on taking her. 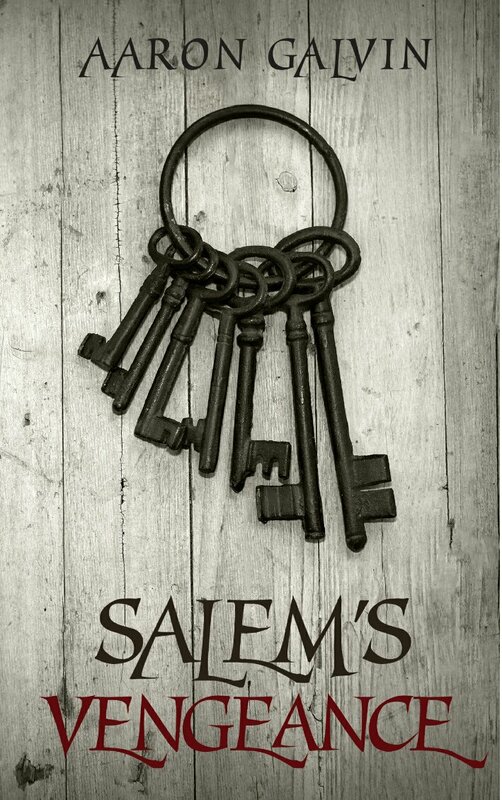 When her friend’s farms burn, her father and vigilante help try to defend her but, Sarah also learns more about Salem from book given to her by Hecate and her family secrets emerge. I really did enjoy this historical fiction thriller, which was well researched and told in seventeenth century vernacular giving it a chillingly authentic feel to read. The Book shies away from the paranormal/fantasy aspect of witches largely and focuses on the motives behind Salem and those who disseminated afterwards. I look forward to reading the rest of the trilogy. Salon’s Vengeance is available to read for free to Kindle Unlimited subscribers. Sounds interesting. I might check it out sometime. I don’t enjoy reading about witches, but the history made this one a very intriguing read.